What Duty of Care Does a Nursing Home Have? 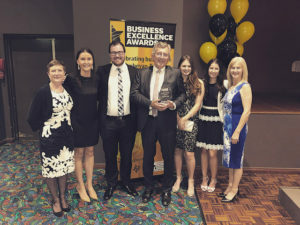 The Business Excellence Awards have been developed to celebrate the excellence, success and innovation of Queanbeyan-Palerang’s businesses. elringtons is proud to support Barnardos. Barnardos works with children, young people and families to break the cycle of disadvantage, creating safe, nurturing and stable homes, connected to family and community. Our firm provides ongoing pro bono legal assistance to the organisation and our solicitors provide routine pro bono legal advice and representation to men and women in need. Elringtons is delighted and grateful to be finishing off the work year of 2018 with a gift presentation on Monday 17 December 2018 to Barnardos Southern NSW . 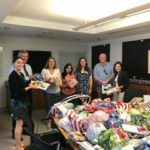 Gemma Sutherland has, over the past month, arranged to collect gifts for children of all ages from fellow colleagues, friends, family and clients to donate to Barnardos. Each year there are many families and children in need and that require support of are involved in the foster care system. We would like to thank all those who generously donated this year and those who helped wrap all of the wonderful presents. It really has brought the festive cheer alive in our office. A special thank you to some of the larger donations that we received from Mr. Rixon and Mr. Johnny Clark through “The Series Workshop”. We appreciate your generosity. Wendy Craig, Program Manager at Barnardos Southern NSW received the gifts on behalf of Barnardos and indicated that they will distribute them along the large regional area they cover which includes the Cooma Monaro/Jindabyne and Bombala shire and the Palerang Shire. It has been our absolute pleasure to collect such an abundance of gifts to give to Barnardos. Each and every gift makes a world of difference for a child/ teenager. Barnardos motto is “we believe in children and young people”. From all of us at Elringtons we echo this motto and believe that something as small of donating gifts will help to promote the welfare and safety of children and young people in the community. 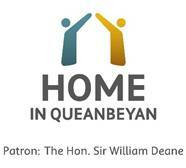 elringtons is proud to support HOME. 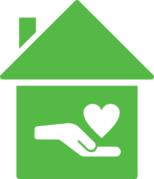 HOME provides a supportive, loving home for 20 men and women with enduring mental illness who cannot live independently or are at risk of homelessness. It features 21 self-contained residential apartments— 20 for permanent residents, and one for a live-in caretaker; there is also a four-bedroom house on-site which is lived-in by a family who provide a back-up caretaking role. HOME seeks to humbly and lovingly walk alongside others, recognising that the dignity and freedom of each of us is caught-up in the dignity and freedom of those we serve and love. It is a place of friendship—a place that counters the isolation and loneliness that too often goes hand in hand with mental illness. Residents have access to 24-hour pastoral care delivered by qualified employees, volunteers, and live-in caretakers. They are all seen daily and encouraged to live active, fulfilling lives within their community. 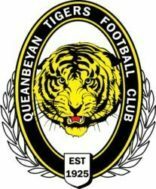 The Queanbeyan Tigers Australian Football Club was founded in 1925. And since that time, has grown to become recognized as one of the most professional, successful and respected sporting bodies in the district. As we continue to strive forward it is well known that Community-based clubs like the Tigers rely heavily on the support of their local community. In this respect Qbn Tigers are thrilled to have a relationship with elringtons Lawyers as one of their many Arena Advertising Partners. Elringtons Lawyers, through its Arena Advertising Partnership of the Queanbeyan Tigers Club, is supporting one of its players Jeremy Bridger to get “shorn” of his 3 year old dreadlocks at the Queanbeyan Tigers AFL camp at Allinsure Oval on 2/3/19. 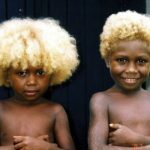 The event is a fund raiser for a Solomon Island Mission. The link below is for the fund raiser. More details + pics of what he plans to lose can be seen at his Instagram account – Lankylebo. Elringtons are proud to support the Women’s Legal Centre ACT. 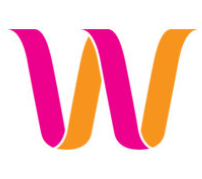 The Women’s Legal Centre is a specialist legal service based in Canberra, providing legal and non-legal support to Canberra’s most vulnerable women. The Centre provides free advice and representation to women on family law, employment and discrimination matters. Elringtons solicitors routinely volunteer their time at the weekly Night Time Legal Advice Clinics conducted by the Centre. Copyright © 2019 elringtons lawyers. All Rights Reserved.